Surf doesn't ask for city beach, more and more people are looking for surf activities in remote beaches, lakesides and rivers. Pick the place and surf will be there. We will organize a day full of activities that are suitable for everybody and don't ask for physical preparation. 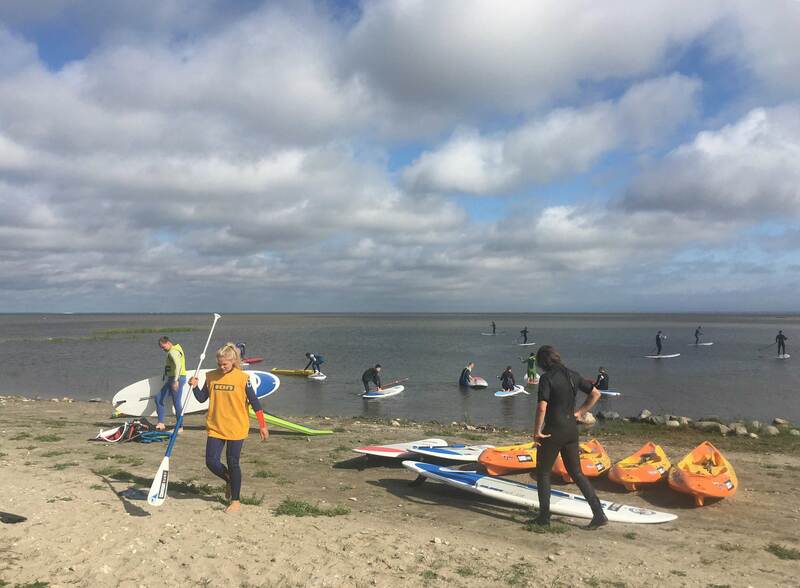 During the day you can participate in kite- and windsurf workshops, do SUP'ing, windsurfing, kayaking. We have created simplified solutions to move ourselves even to your backyard! 1. We set up a trailer for you with as many SUP boards, kayaks etc. as you need. You can pick it up from Pärnu and drive where needed. Example price for 10 SUP boards with a trailer is 500€. 2. We set up a trailer for you with as many SUP boards, kayaks etc. as you need. We will bring it where needed and our instructor stays with you the whole time, explains how to manage the equipment. Example price for 10 SUP boards with a trailer and instructor is 900€. PS! SUP Boards can be replaced with inflatable windsurf sails and boards. 3. Custom made surfcamp at Pärnu Beach or elsewhere. In collaboration with you we decide what sort of equipment is suitable, what's the event schedule and how to make camp more than fun! The schedule can be filled with kite- and windsurf workshops, SUP'ing, windsurfing, kayaking. We'll provide as many instructors as needed and make sure everything goes smoothly. We can even bring Cafe Aloha to your event! Tell us about your ideas! Check out how sample SurfCamp looks like.